If you have been reading on Apple Tree Crafts you will know that I received a yummy parcel from my son and daughter in law this week. This fabulous book by Rashida Coleman-Hale was something I saw when I was at Intown Quilters in Decatur. 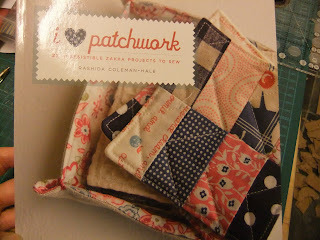 And I am now the proud owner of a SIGNED COPY!! 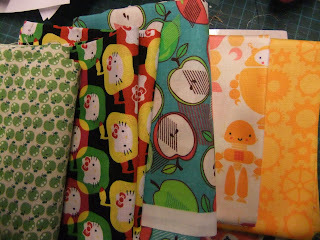 (with a few six inch squares too) Thanks J - a lovely gift. Look at all they yummy fabrics... the robots and the yellow on yellow cog wheels are designed by Rashida from her new iheart range. 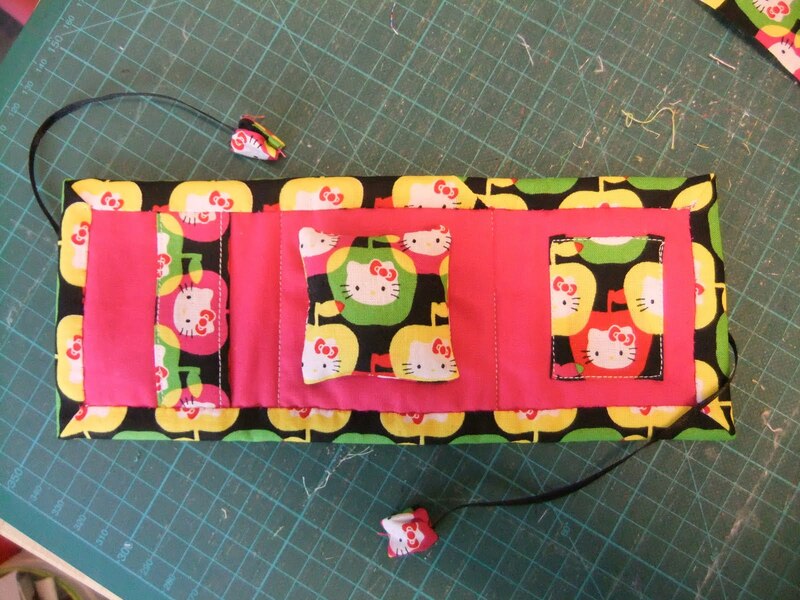 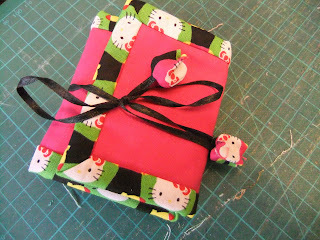 This is what I made from the book using the hello kitty fabric that J sent me. 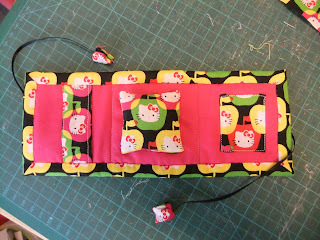 Open it up to reveal a little needle case with pincushion, needle holder and pocket - which I turned a different way from the book just so nothing would fall out.